I hope this newsletter from Rise Up Development Collective finds you enjoying the first few weeks of the New Year. For my own part, I’m settling back into life in the U.S. after five months in Ghana, during which time I was able to work on the Ghana Clinic Project. 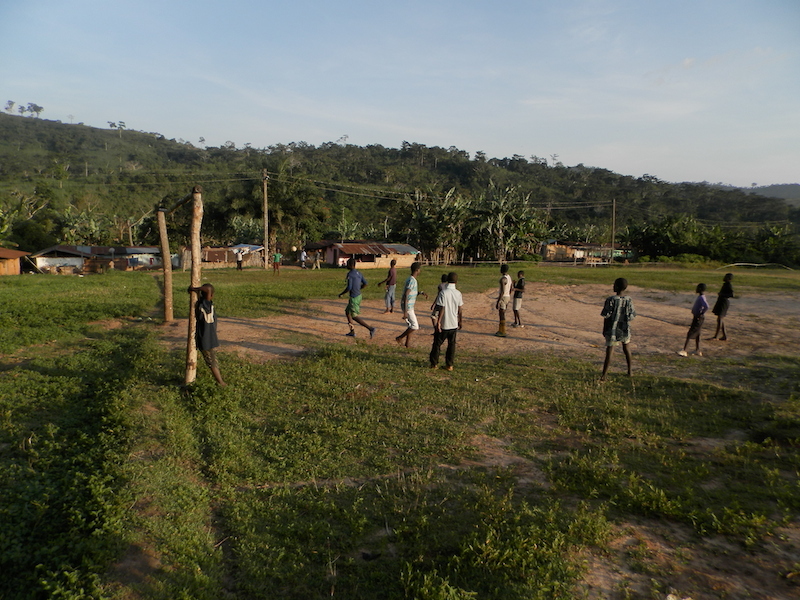 As you likely know, RUDC is collaborating on the Ghana Clinic Project with the village of Wli Todzi, a place which sits atop one of the highest mountains in West Africa, is inaccessible by road, and lacks a primary health care facility. Hopefully, 2014 will be a fruitful year for the village’s efforts to obtain health care access, and if the past year is any indication, I expect that it will be. The year 2013 saw numerous important developments occur on the clinic project, and my stay in Ghana allowed me to witness many of these. It was gratifying to see firsthand how a grant RUDC received in May from Canadian grassroots organization Operation Groundswell turned into substantial progress toward completing the clinic structure in the areas of masonry, plastering, and the installation of all electrical equipment. In September, support from individual donors helped RUDC to purchase quality video equipment, which allowed me to begin filming a documentary in Wli Todzi. RUDC members now on the ground in Ghana are continuing to work on this documentary, which in its finished state will be promoted to fundraise for the clinic’s medical equipment. In addition to the documentary, RUDC has been outreaching to media outlets within Ghana. Groups from Journalists for Human Rights and the Ghana Institute of Journalism made the trek up the winding footpath to Wli Todzi to create several brief documentaries on the struggles community members face, and one of Ghana’s largest television networks, TV Africa, is coming to the village this weekend to do a feature story. RUDC plans to use this media attention to fundraise for the clinic project within Ghana, and hopes this publicity will help hold the local government accountable to its promise to staff the clinic once it is completed and outfitted with medical equipment. While this and much more is happening with the clinic project in Wli Todzi, we’ve still got a ways to go. 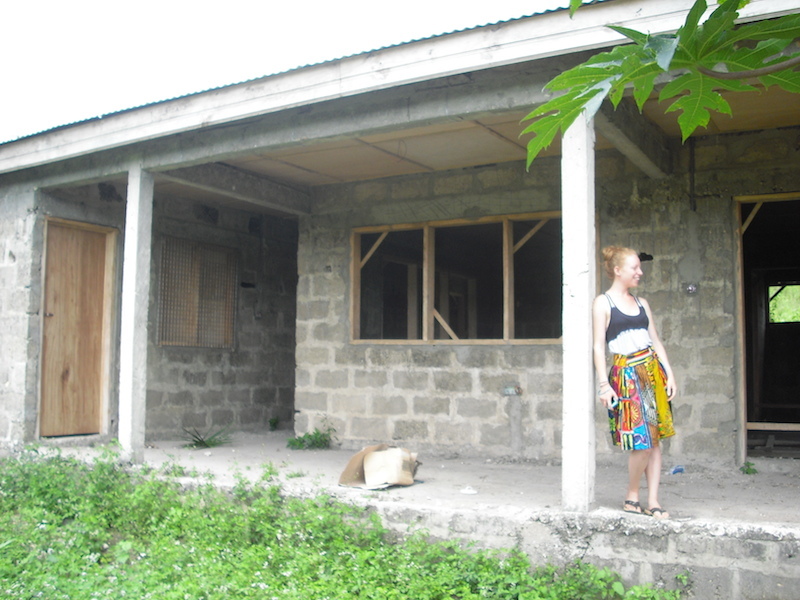 Remaining steps include installing tiling and plumbing, drilling a well, and connecting the clinic to an electrical grid. Then comes the work of fundraising for the clinic’s medical equipment, and transporting that equipment to the village. With continued donor support, RUDC expects that construction on the clinic will be completed in 2014. Every dollar brings us closer to achieving this goal, and as a recent returnee from the village, I got to see that every dollar is being put to good use. I thank you for your support of the Ghana Clinic Project and Wli Todzi, and hope you continue that support into the coming year. You can find more information about the project on our website. While you’re there, you can also make a donation to the clinic project, view photos I took during my stay, read a testimonial by a recent visitor to the village, or read other updates about the project. Great things lie ahead, and we look forward to keeping you updated!